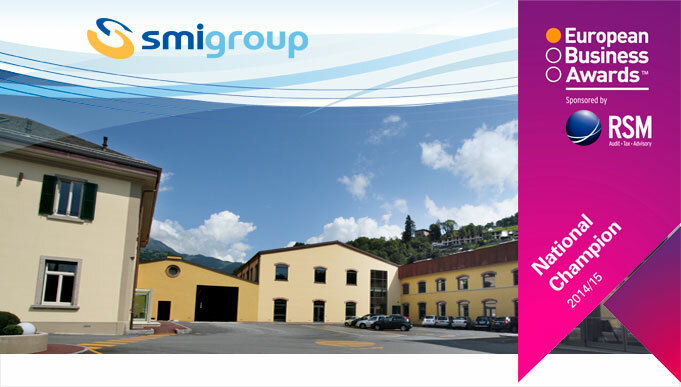 SMI S.p.A. has been selected as Italian finalists in the European Business Awards 2014/15. In more details, SMI competes in "The Award for Environmental & Corporate Sustainability" category, reserved to European companies which have distinguished themselves for their efforts in developing sustainable solutions, with the project involving the new headquarters of the SMI Group and implementing environment-friendly and energy-saving technologies. The European Business Awards is the most prestigious European award competition for companies; this award, totally independent, is supported by organizations committed to the promotion of business goals focusing on economy, industry and environment development in the EU. After the first round of judging, 709 companies have passed the initial assessment process to become national finalists in their respective countries among more than 24,000 companies participating to the contest. Paolo Nava, President & CEO of SMI, commented as follows: "It's a great honour for SMI to have been selected as a finalist in the European Business Awards contest. This nomination is a further international acknowledgement for the innovative technologies we have brought in using solutions which allow cost and energy savings and low environmental impact". Adrian Tripp, CEO of the European Business Awards, says: "Congratulations to SMI S.p.A, it is a great achievement to be named National Champion and we wish them luck in the next stage. The European Business Awards is going from strength to strength, inspiring businesses to greater success and helping to improve the competitive edge of companies across Europe"